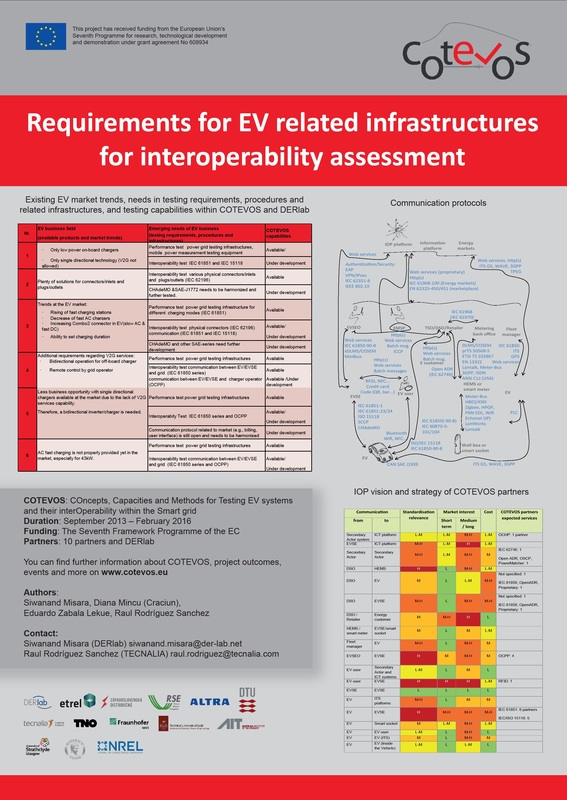 At the IRES 2015, COTEVOS held a poster presentation on its first achieved milestone Requirements for EV related infrastructures for interoperability assessment. 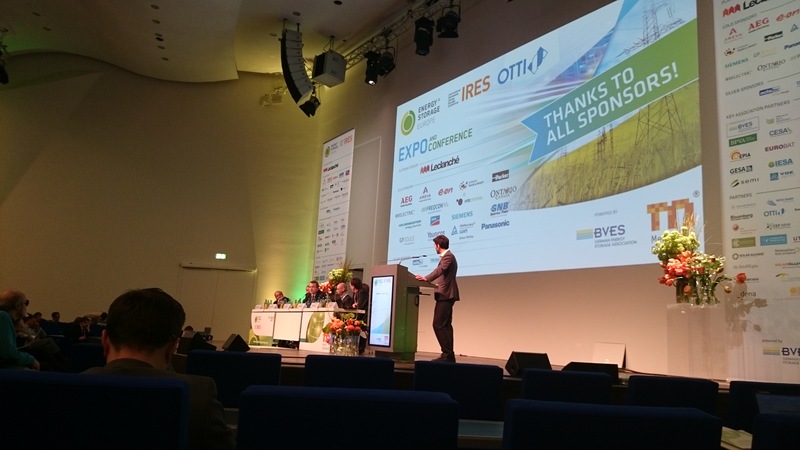 Encompassing the identification of new tests and conformance testing methods, one of the main outcomes refers to market solutions in electromobility that are already available today. 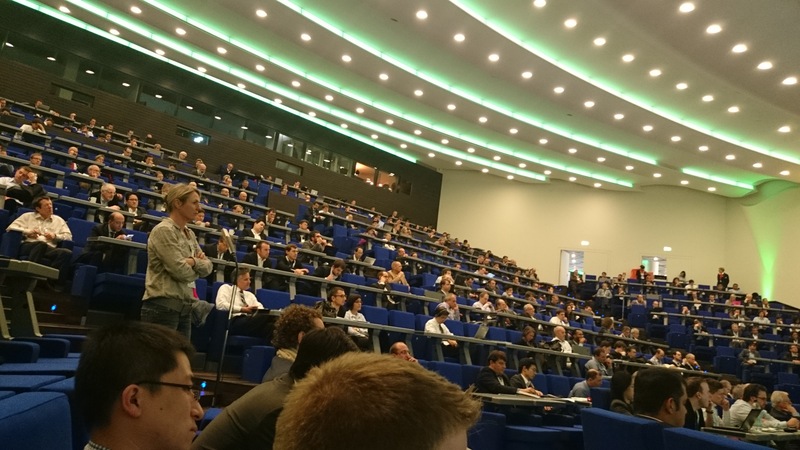 Flexible laboratory architectures should develop interoperability assessment to adapt to different business models requirements. COTEVOS aims to establish a common conceptual approach based on a definition of test cases and inter-laboratory comparison.